An LMU project is among those nominated for this year’s German Future Prize, the Federal President’s Prize for Technology and Innovation. The complete list of projects nominated was announced in Munich today. 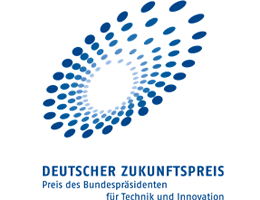 Three R&D projects have been nominated for this year’s Future Prize, which is presented by the German President for outstanding contributions to technology and innovation. The list of nominations includes a research collaboration led by Professor Wolfgang Schnick, who is member of the Faculty of Chemistry and Pharmacy and holds the Chair of Inorganic Solid-State Chemistry at LMU, and Dr. Peter Schmidt of the Philips Lumileds Development Center in Aachen. The project is devoted to the development of novel luminescent compounds for use in light-emitting diodes (LEDs). The Prize, which is worth 250,000 euros, is awarded by the Federal President to researchers who have found ways to bridge the gap between research prototype and marketable product. The three projects on the shortlist were announced today, 2 October 2013, at the Deutsches Museum in Munich by staff-members of the President‘s Office. Work done by Wolfgang Schnick and his research group at LMU, in cooperation with the development team led by Peter Schmidt at Philips Technologie GmbH in Aachen, has led to a revolutionary technological breakthrough. The researchers have created novel and highly efficient phosphors, which convert the blue light emitted by modern LEDs into white light. These innovative light sources, which are already on the market, are characterized by a strikingly high efficiency coupled with excellent light quality, and are very reliable. Following the recent EU ban on the production of incandescent light-bulbs, LEDs seem set to provide the light source of the future. This is because they offer great advantages over alternative technologies such as fluorescent lamps with respect to energy efficiency, light quality, reliability, and ecological compatibility. An individual LED can only generate light of a single color. For most lighting purposes, however, white light is required, and must be synthesized by combining the primary spectral colors (red, green and blue). The new materials discovered by Wolfgang Schnick, and further developed together with the researchers at Philips, make this possible, as they are capable of converting the blue light produced by modern LEDs into all the colors that make up the visible spectrum. Thus, by mixing these color components in the correct ratios, one can produce high-quality white light. “With our new compounds, we can achieve energy efficiencies that are close to the theoretically predicted limit. The raw materials needed for the manufacture of the materials are environmentally benign and are found in almost unlimited quantities on our planet,” notes Wolfgang Schnick. According to estimates provided by Philips, up to 16% of the electrical energy currently consumed worldwide could be saved if conventional light sources were replaced by LED-based products, and intelligent approaches to light management were implemented. In Germany alone, this would correspond to the total amount of electrical energy generated by nuclear power-stations last year. The exceptional properties of the new materials soon attracted the attention of Philips Lighting and led to a close-knit collaboration with Philips Technologie GmbH in Aachen. The resulting research collaboration has already given rise to more than 12 joint patents. A whole series of LED-based light sources based on the phosphors discovered at LMU has been developed and brought onto the market by Philips. They are now used for indoor illumination, but are also found in street-lighting, signaling, traffic lights and automotive lighting. This suggests that it is realistic to expect that the LED technology will supply the vast majority of electric light for all applications in the near future. The jury will select the winner from the list of nominations and announce its decision on 4 December 2013. Federal President Joachim Gauck will present the Future Prize 2013 to the winning team at a ceremony to be held the same evening. The event will be made available live online beginning at 18.00, and will also be broadcasted by ZDF starting at 22.15.